Packaging and protection with stretch film square products such as frames, structures and windows without glass. 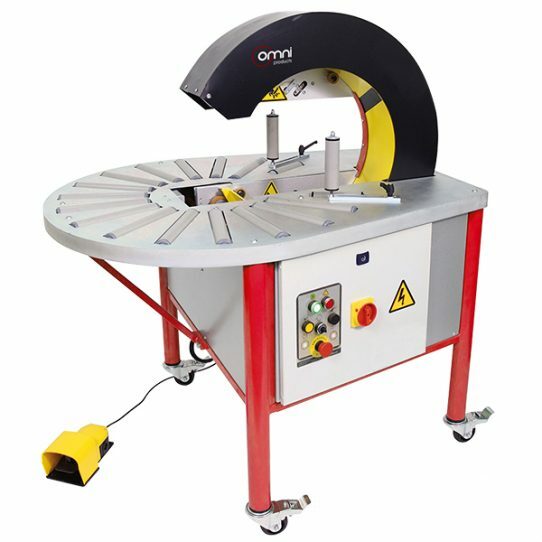 Also for round products such as hose rolls, wire rolls, wheels and rings. 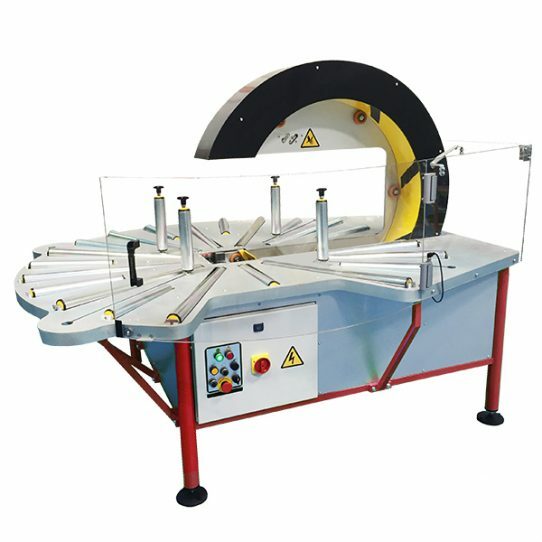 The user places the product manually until the wrapping machine ring centre; pressing the foot switch the ring closes automatically; the user turn the product and the machine wraps it with stretch film; the ring opens automatically and, finally, the user take out the product fully wrapped.